Getting home from my now normal 9 to 5 job, I had a nice surprise waiting for me on my door step! 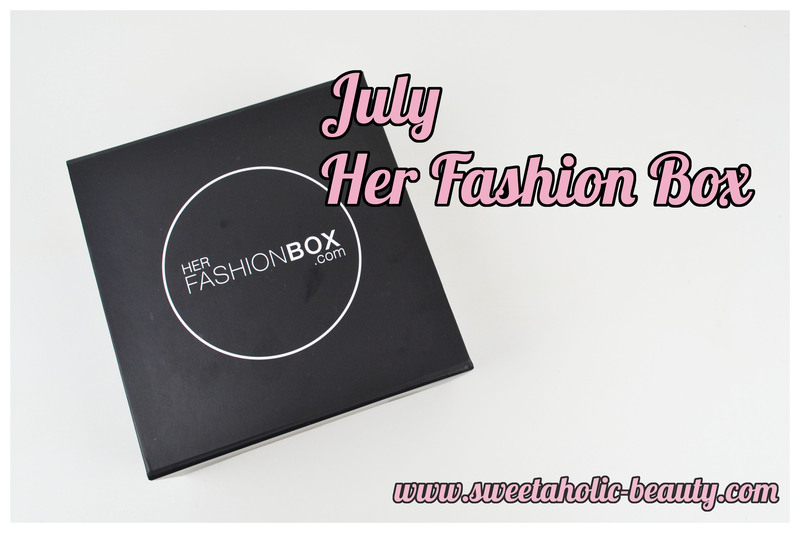 This month, the July Her Fashion Box made it in time for the end of the month! Yay! I hadn't seen a lot of spoilers for this box, so it was definitely exciting to get this. The theme for this month's box is "Infinite." All the goodies this month. 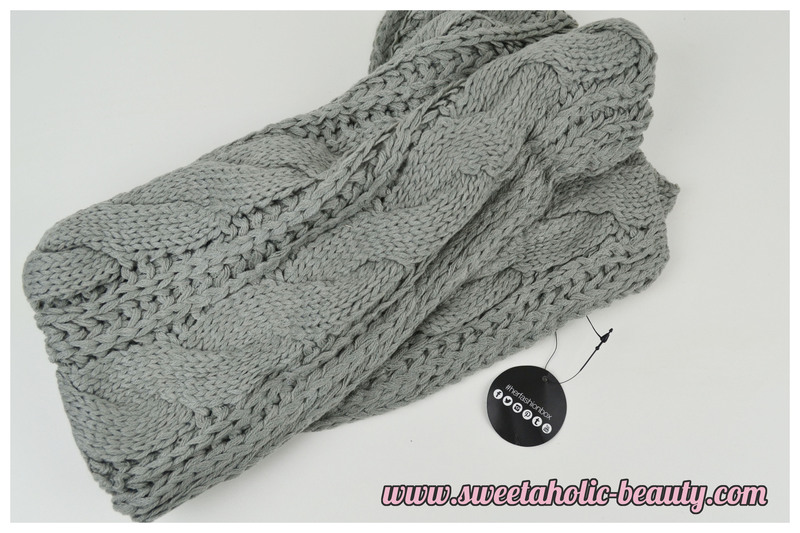 This is a totally gorgeous knitted scarf, absolutely perfect for winter. I love that it came in grey, as this will go with practically everything in my winter wardrobe. Grey is also a really nice change from black, which is something I wear a lot in winter. This seems so warm and cosy, I can't wait to wear it to work! I feel like I received this in another Her Fashion Box a while ago, but I can't be sure. I can't find it on my blog, so it might be my imagination. 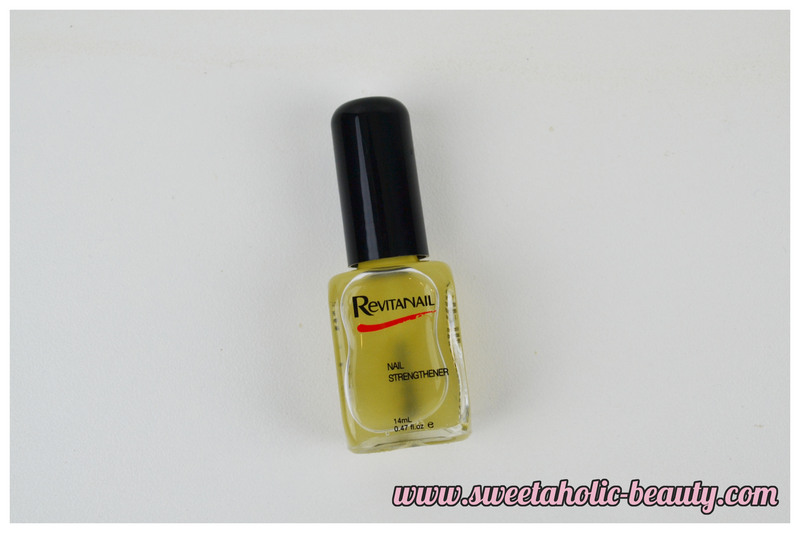 Revitanail is a really good brand, so I'm happy to receive this nonetheless. My nails have been a little worse for wear lately, so this will come in handy. I took a few photos of this watch from further away, but the detail on the watch face wasn't showing up, and I really wanted to share how beautiful it is. 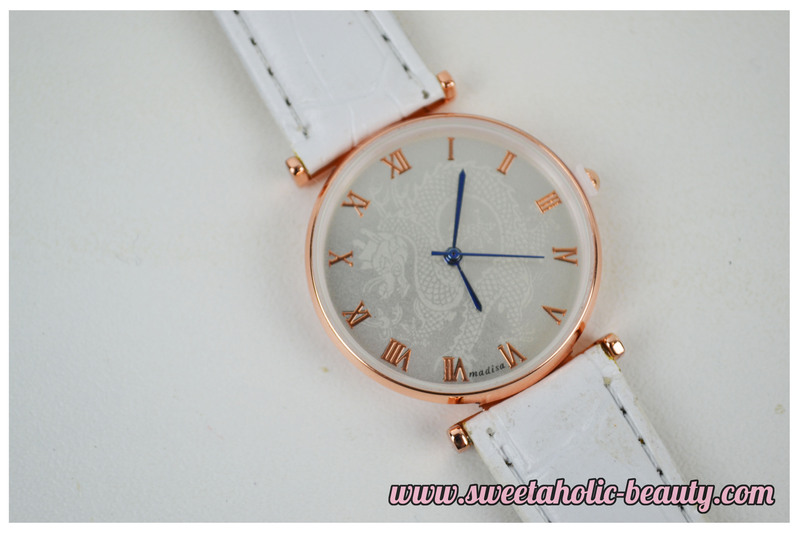 I love the subtle design of the Chinese dragon, and the rose gold makes this watch look particularly elegant. I also really like the Roman numerals, too! I actually have a few of these already, so I'm not too thrilled to get this. They do come in handy when I need to travel or stay overnight somewhere different, though. This is interesting. I've never actually heard of this brand before, so I'll be interested to give it a go. 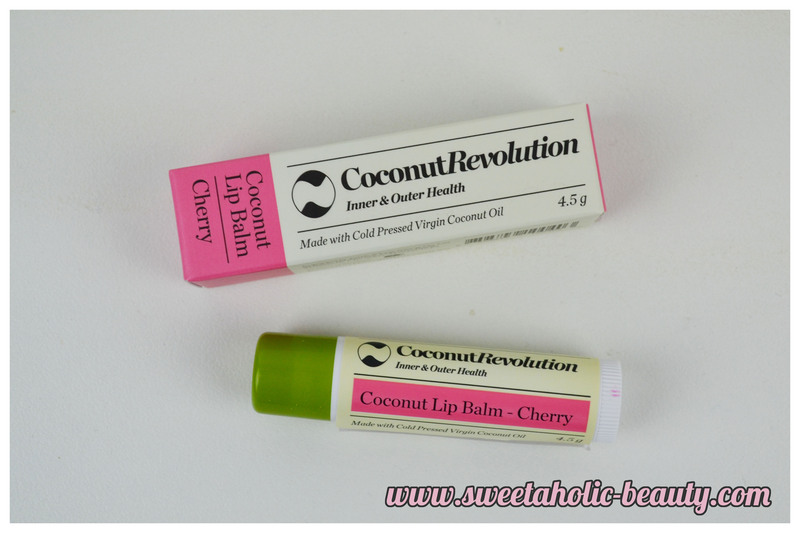 I like the idea of a coconut lip balm in cherry flavour, it seems different! This is such a cute colour! I haven't tried a lot of the new stuff from Ulta 3 so I'm excited to get this one. I actually dropped this before taking the photo, and it didn't break, so this gives me high hopes. I'll probably wear this sometime this week, and possibly do a review! How cute is this stationary! I don't need stationary really, but if I ever need some, I'll definitely head to this place. The quality of the paper and envelope was pretty fancy! 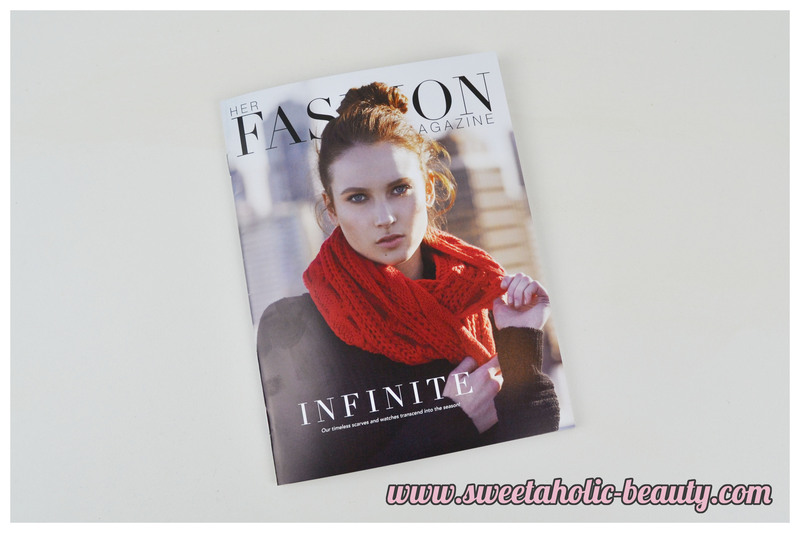 Overall, I really liked this month's Her Fashion Box. At first, I felt a little underwhelmed. But as usual, once I actually go through everything and realise how much there was actually in the box, I start feeling a lot better about it. I love everything that was included, and I feel like I'll use pretty much everything in this box. Seems like a pretty good box - love that watch! 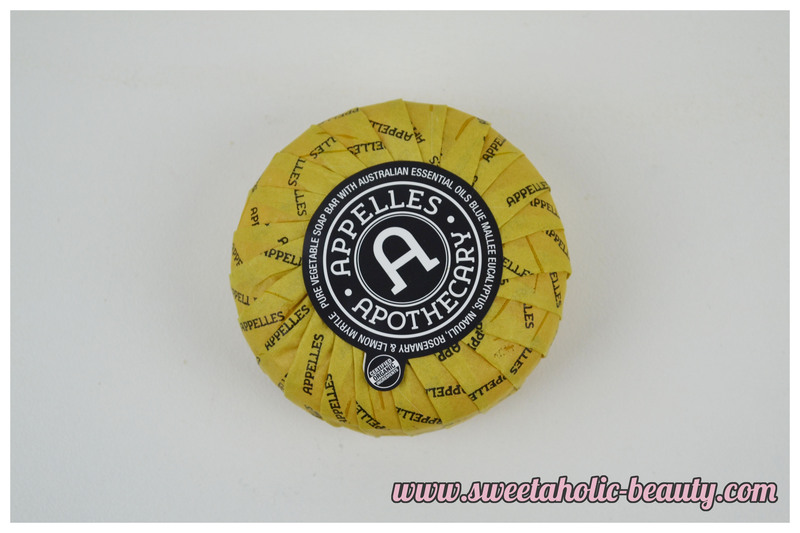 I have the Coconut Lip Balm and have to say I really like it! The colour is very sheer, but pretty. Also quite moisturising! I've haven't seem much about the Ulta3 crayons. I'd be interested in seeing how you like it because the colour looks really pretty! I like the look of the lip balm, the scarf and most importantly, the watch! 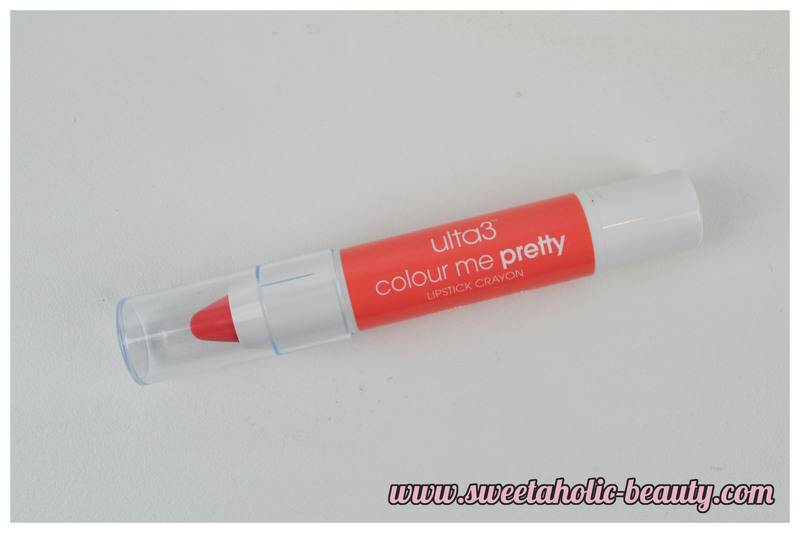 Plus, obsessed with jumbo lip pencils so I'd probably have liked the Ulta3. ;) I actually was looking at it about six weeks ago but decided against buying more! You dropped it and it didn't break, and that gave you high hopes? Hahaha... That's so funny! We got the same box - I have been wearing that scarf EVERY DAY since I got it! The knitted scarf is gorgeous! !